You are here: Home / Blog / gratitude / Do You Truly Give Thanks at Thanksgiving? Do You Truly Give Thanks at Thanksgiving? Thanksgiving is this Thursday. Stop for a moment and think do you truly give thanks at Thanksgiving? How much thought and effort do you really put into this day? 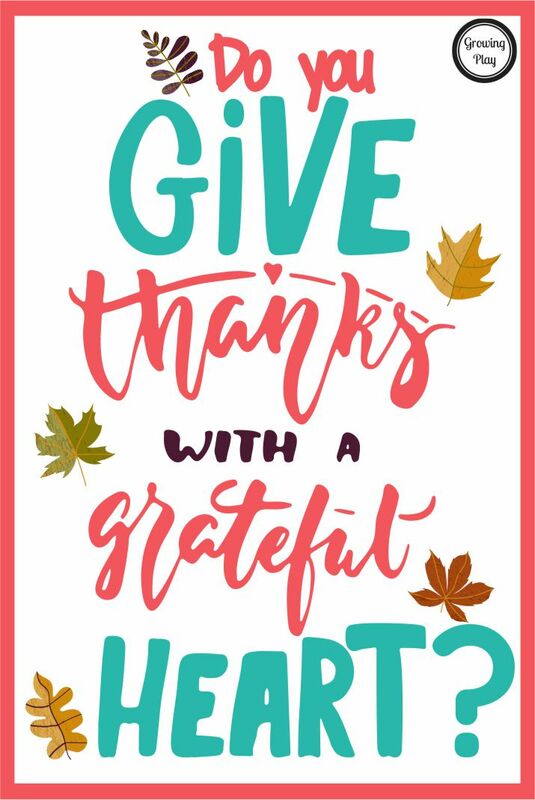 Do you spend time being grateful and thankful for your friends and family? Or are you just glad that you get an extra day off work and can pig out? As with any type of holiday, commercialism can creep in and ruin the real meaning of the day. This is why it is so important that you put the time into being thankful at this time of year. Parents need to set an example to their children and make plans for spending the day together whenever possible. While many families will eagerly say that they do spend Thanksgiving, giving thanks, is this the only day of the year that they do so? What we mean, is why not fill the entire year with tons of gratitude? You don’t have to save your thanks for your family and friends for just one day of the year. Get into the habit of letting all those people know just how special they are to you throughout the year. You can do this in very simple ways such as sending them a quick thank you note or email. You could also send out a Tweet, Facebook message or a text message on your phone. Thanksgiving is also the time when retailers run their Black Friday and Cyber Monday sales. This can also eat into the time you spend with your family. If you are going to shop see if you can include some other family members too. Don’t exclude them to the point of not showing up the entire weekend for the sake of picking up a couple of specials! Is money more important than family? Of course not! My husband has a tradition to take the children black Friday shopping. Instead of it being time away from the family he takes the kids! I have no doubt in my mind that my children will grow up and think fondly on their crazy late night shopping trips with their dad. They spend more time people watching and eating chocolate (boxes of chocolate are always buy 1 get two free for some reason). If you do intend to hit those sales this weekend like my husband and the kids, take a few moments and be grateful for those employees who are working. Don’t forget to smile and say “thank you” to them. Any small action, even from a stranger, can brighten up anyone’s day. Especially for those who have to work when they would much rather be home enjoying the day with their family. Traditions are wonderful for this time of year too. Why not start a new family Thanksgiving tradition this year? Maybe late night shopping is not your thing (like me that is why my husband takes them he LOVES it). Maybe try taking a family photo or just sitting around the fireplace sharing childhood memories and stories. These small moments are easily treasured by every family member for years to come. 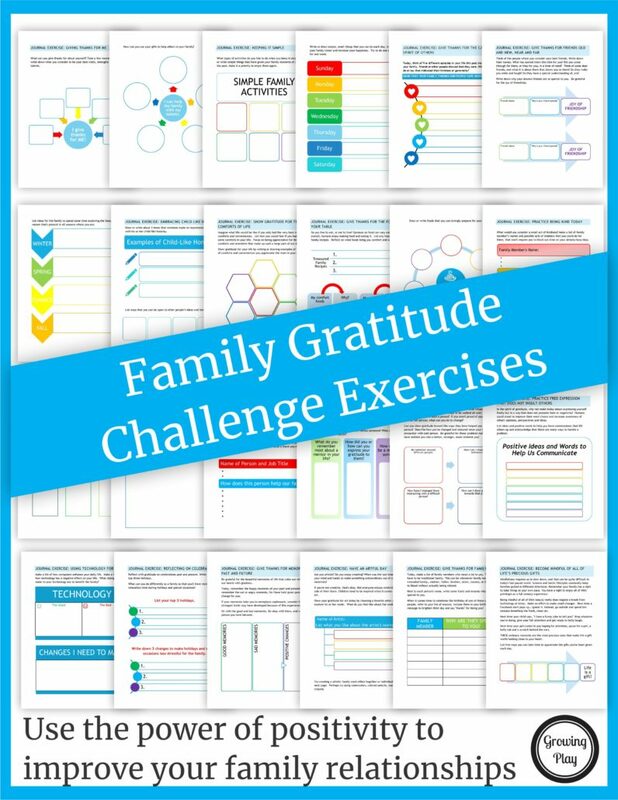 Try one of the exercises from the Family Gratitude Challenge. Get some exercise before the big feast – We have run or walked in the Turkey Trot in our local city. There is a fun run for the younger ones and a 5K for the older ones. Even just a stroll outside in the crisp Fall air, is a lovely way to be grateful for the beautiful outdoors. Keep a journal each year of what you are thankful for – Print out the I am Thankful Categories game. Instead of playing the game, write down what you are grateful for under each category. Write your name and date on the paper. Toss everyone’s responses in a big envelope and seal it up. Open it up next year and read out loud what everyone wrote. Take a family photo – Wouldn’t it be nice if every year I remembered to have our photo ready for Christmas cards? If we do it every year on Thanksgiving it will be all set. Play a game together as a family- Sometimes we toss the football around outside and sometimes we play a game indoors. 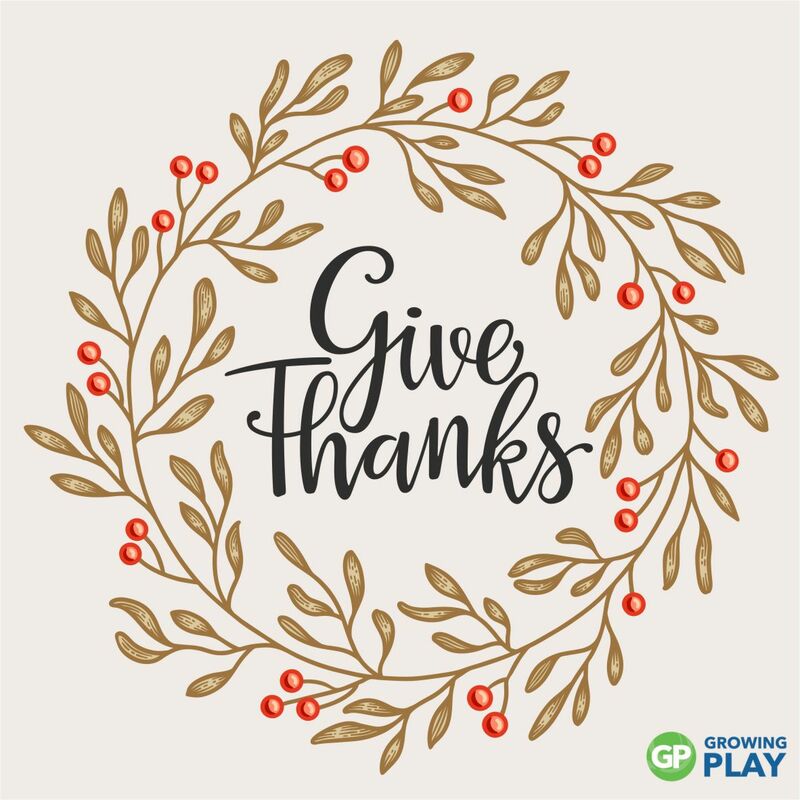 Check out Thanksgiving Games to print and start playing right away with a small or large group. Plan for Christmas – every year we pick names for Secret Santa on Thanksgiving Day. Instead of worrying about everyone getting a gift for each person, we each pick a name and secretly get that one person a present. It makes shopping at Christmas time less overwhelming. In addition, we decide what to do with the extended family. In the past, we have had different themes. Two years ago we had a homemade gift exchange and everyone had to handmake a gift. This was so much fun and the gifts were amazing – from homemade hot chocolate to intricate cross stitch designs of a family portrait.